More rare Amiibos, just what we needed. The Amiibo situation in North America is already a joke- not because the figures don’t sell, quite the opposite, but because of limited print runs, rapid sells out, and hoarders and scalpers buying a lot of the rare figurines before legitimate customers ever get the chance. 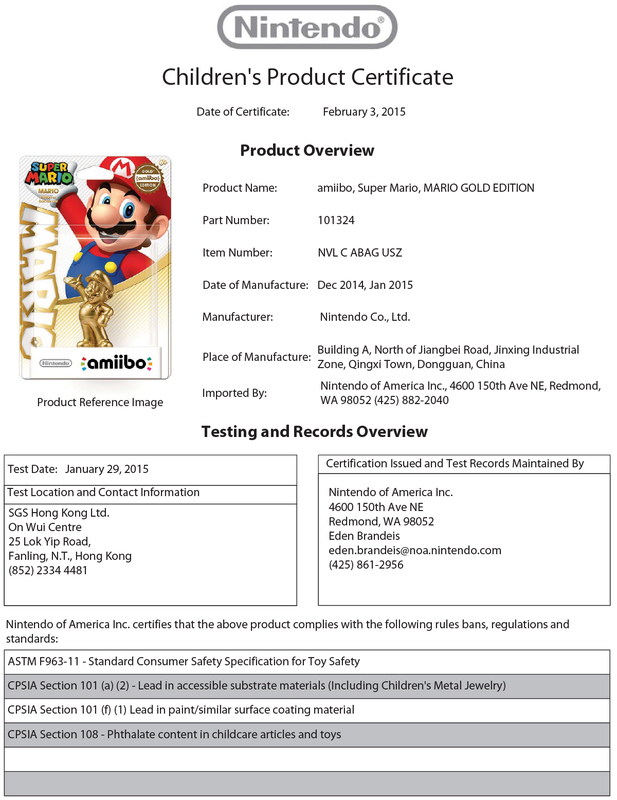 And, well, it looks like Nintendo might be gearing up to throw in a couple of even rarer Amiibos into the mix, as apparently, they are gearing up to launch gold Mario Amiibos and silver Mario Amiibos. How do we know this? Because of product testing and certification files that Nintendo put up on their website, before taking them down in an act that basically all but confirms that they are coming anyway. The files were pretty detailed, providing us not only specifications and descriptions, but also pictures. You can see the files above, as we have posted them right here for you. If Nintendo do go ahead and launch these, we will let you know.